Slashdot reports: "DRM, digital rights management, is quite possibly the holy grail of the music and movie industry, allowing them to control exactly how DRM protected content is used, distributed and above all can be tracked right down to the individual end user. Hardware Analysis reports on a horror story of someone picking up a DVD recently and having to go through an agonizing process of installing DRM-enabled applications to even get it to play on his computer. If this is what the future holds, you'd better think twice about buying DVDs and other media, as you're basically at the mercy of the producer." I can only testify that the above is all true, as I have myself been victim of this. Having recently traveled to the US, while connecting between flights in Cincinnati, I bought three music CDs from the international airport record store. First time I inserted the CDs in my computer connected CD-player, the CD asked me to install its own software on my PC in order for me to be able to play the tracks on it. I could not play the CD through my standard media player and was forced to listen to the music using the functions available in the user interface provided. The CDs, which use a protection system called MediaMax break away quite a bit in what you would expect from your previously bought music CDs. The scariest issue, is that there is no way for you to find out about any of this until AFTER the CD has been bought. 1) If you are running Windows Media Player 7.0 or earlier you will need an open Internet connection to listen to the tracks on the CD. 2) If you don't use Windows Media Player as your default media player YOU MUST be connected to the Internet to download the appropriate media license files. 3) You can't download these music files to your portable media player unless it supports playback of .WMA secure files. 4) Users on Mac should just give up. These tracks will not play back on the their beloved Macs if they are using Microsoft Windows Media Player 9 (the required tool). 5) According to user feedback to Sunncomm download of music tracks to Sony MiniDiscs is unreliable or altogether unavailable. 6) You cannot convert music tracks into other "unsecure" audio file formats like .MP3. 7) In sharp contradiction with what stated on the Sunncomm FAQ it is impossible to detect a music CD protected by this system before buying it as the warning is placed on the actual CD which is not normally inspectable by consumers inside record stores. 8) If you have a pop-up blocker installed on your PC expect to see a message inviting you to agree to the terms of the license followed by a black window that says "E:/index.hta"
9) There is NO WAY to remove the MediaMax software from your computer once installed. 10) There is NO WAY to remove the DRM digital keys, designed by Microsoft, from your computer. These keys are hidden in a secret database on the system that only Microsoft knows how to get to. According to Sunncomm "Microsoft never envisioned that anyone would have a desire to remove them." 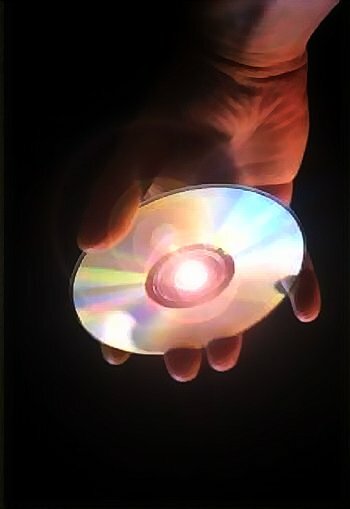 A message stating: ""this program will only work with the original CD" provides your last stare at the screen before your final scream.